Coffee and Barbecue? 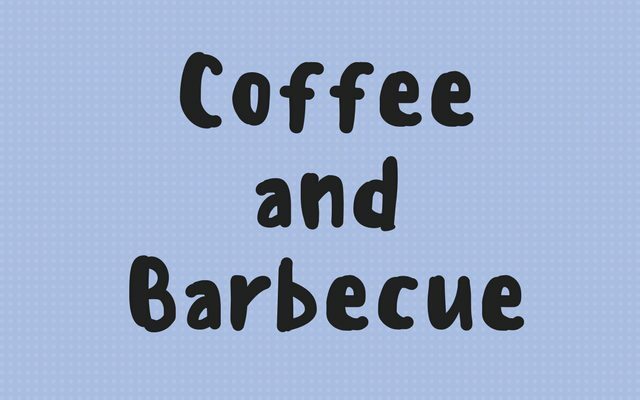 Yep, Coffee and B-B-Q go hand-in-hand like, well, a couple of hands. Anyhow, we are going to show you a dry rub that works well on pork, as well as a sauce to go with that tasty hog flesh. The idea for integrating coffee and barbecue came when I was slow cooking some pork ribs one hot and humid summer day. I had been drinking ice tea, but what I really wanted was coffee. So I started to experiment with iced coffee. Anyhow, one thing led to another, and I realized that along with my ice coffee, the pork would taste better if it too had some coffee overtones. The rub was a no-brainer, but the sauce didn’t come to me until later. The marriage of the two is really tasty, especially when enjoyed with a cold coffee drink. Although this recipe is designed for pork ribs and such, you may be able to come up with your own recipe for other types of BBQ such as beef ribs, beer can chicken, or even rack of lamb. Don’t be afraid to experiment! Mix all ingredients well and apply generously to most cuts of pork. Pat into meat well before grilling or smoking. We like to use it on baby backs or pork spareribs. This rub also works for pork loin and pork chops on the grill. Remember the recipe above is a guideline. Don’t be afraid to experiment with other ingredients like rosemary, ginger, cinnamon, or nutmeg. Get Creative and don’t forget to Share and Enjoy! 4 ounces of your favorite triple strength brewed coffee or some espresso (I like Papua New Guinea, Sumatra, or Java Estate). 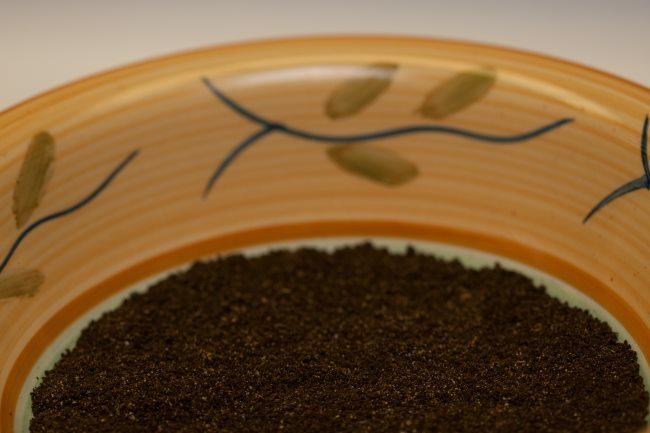 If brewing your coffee, put 3 times the amount of coffee grounds as normal, and only brew through about 4-6 ounces. If using espresso, pull 2-3 doubles. Mix all ingredients well. The BBQ sauce will thin. 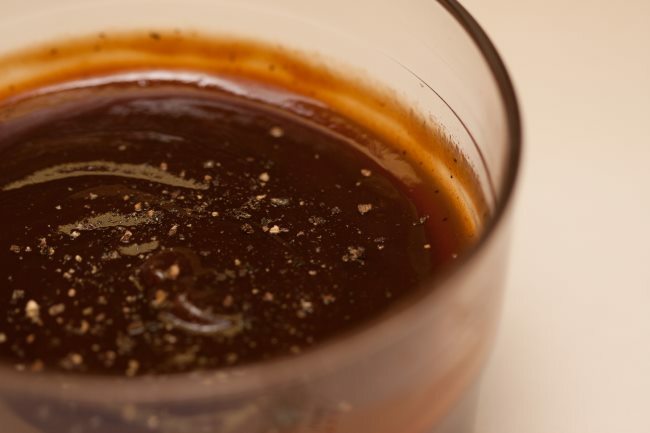 If sauce thins too much, have another bottle of sauce ready and add enough to attain desired consistency. Apply to last 15 minutes of your BBQ. Remember the recipe above is a guideline. Don’t be afraid to experiment with other ingredients like apple juice, cilantro, fresh garlic, or molasses. Get Creative and don’t forget to Share and Enjoy! Simple BBQ Coffee Rub for Steaks, Pork and More – INeedCoffee recipe.